Americana Decor® Curb Appeal™ is a durable outdoor paint that will ensure your home is putting its best foot forward! It is specially formulated to work on doors (wood or metal), shutters, railings, mailboxes, and more. 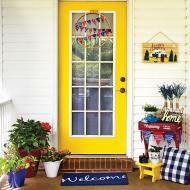 Use it to create bright accents that give your home's exterior that "finished" look. It's convenient, 16-oz size ensures that you will have enough paint for your project without a lot of left-overs like you would have when buying a gallon. 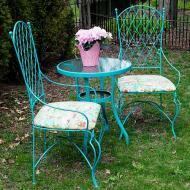 This also makes it easy to use multiple colors to transform your outdoors without a lot of additional cost. Durable, fast-drying, fade-resistant acrylic paint that offers superior protection without requiring a sealer. Its versatile semi-gloss finish is both scuff- and water-resistant, making it perfect for outdoor use. This water-based formula offers excellent adhesion to metal, wood, plastic, and more. Flexible, outdoor home decor stencils made for durability and ease of use. The laser-cut designs were specifically created for use on doors, mailboxes, plaques, and other outdoor decorative items. The stencils come in a 6” x 18” format making them the ideal size for most outdoor projects. Lettered and numbered stencils include alignment guides to help with accuracy. 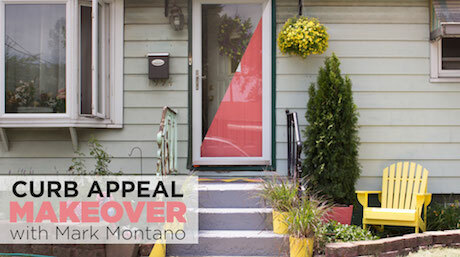 Get inspired with our outdoor project ideas made with Curb Appeal. Customize your home decor projects with a wide selection of Americana Decor® stencils. Designs and sizes are varied enough to work into any style.